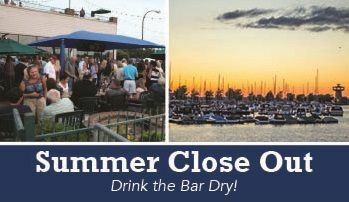 Summer Close Out – Drink the Bar Dry! Templeton Landing will be closing for the Season after dinner service on Sunday, September 9th! $3 Domestic Drafts and $5 Local Crafts ALL DAY, EVERY DAY!